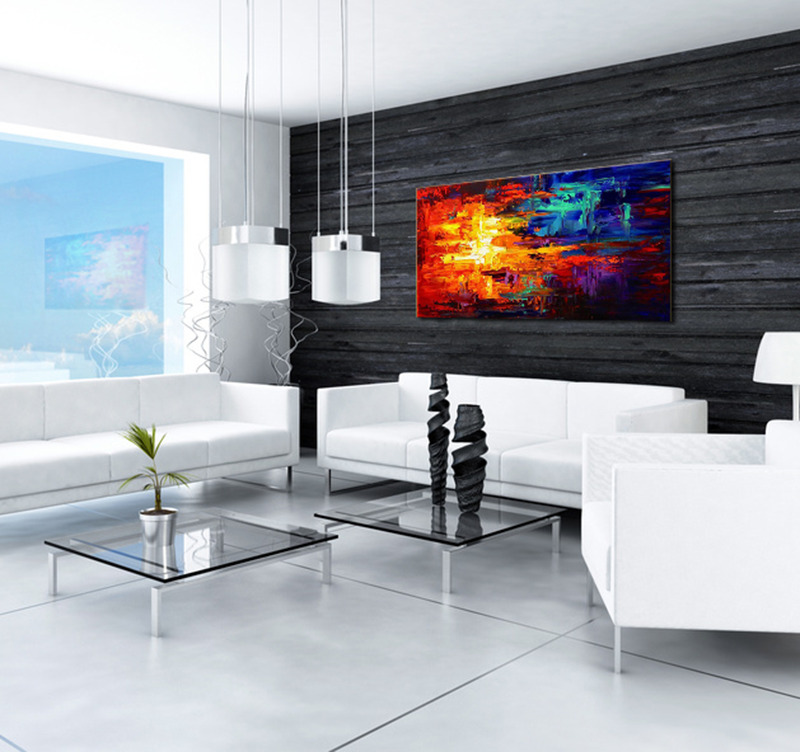 Fire and ice are intertwining in this contemporary canvas painting. 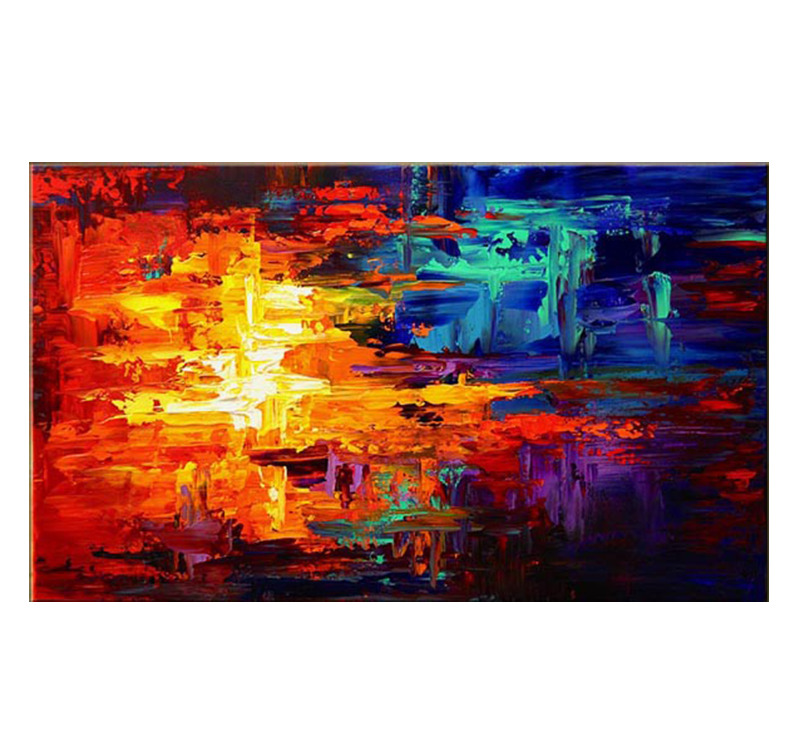 This piece of art will undoubtedly bring a modern touch to your interior. This canvas painting is 120 x 80 cm (47.24 x 31.50 po). 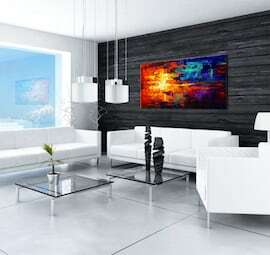 Each canvas painting is treated to withstand UV and moisture. The "Fire and Ice" abstract artwork is hand-painted with vivid colors and can be set horizontally or vertically to give you the style you want. It will easily fit into your room. The contrast between the two colors symbolizing water and fire is very artistically represented and will sublimate your interior decoration. All our pieces from this category are hand-painted by our artists on cotton canvases and stretched over a frame made of Canadian pine wood. The modern canvases are delivered with cardboard corners and hanging hooks. 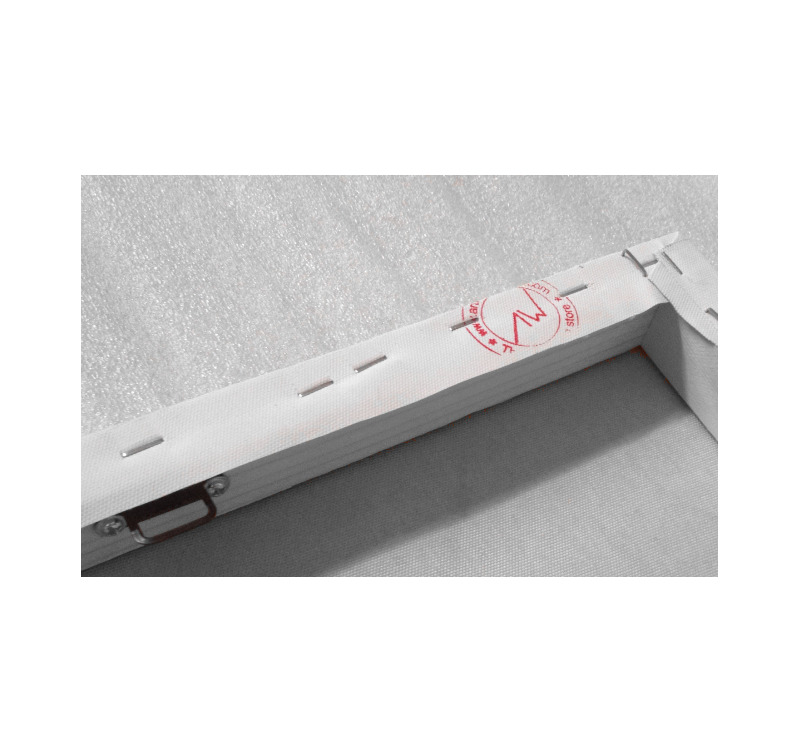 All our canvases are treated to withstand UV and moisture to ensure optimal rendering and lifetime.